Should Writers Use Social Media? I was doing a bit of research t’other day for an article on The Edinburgh Reporter about the Scottish Book Trust’s New Writers Awards Showcase, and was struck by how few of the winners had an easily accessible social media presence. Since time immemorial (ie since I joined Twitter at the end of 2009) I’ve read so many comments extolling the virtues of new writers maintaining an aggressively current social media presence it barely occurred to me that some people might not bother. Take R A Martens, who was my favourite reader at this event last week. She read a short story that engaged the whole room and had everybody laughing and hoping for more, and she writes beautifully for the SBT website – but there are only three articles by her on there. Why is this woman not blogging, I ask myself. She’s witty and erudite and clearly has things to say, but if you google her you get nothing but the aforementioned SBT posts and a mention of a performance she did with the Illicit Ink spoken word night at the start of March. It is a travesty, I tells ya! Stephen Barrett, Carol Farrelly, Maureen McLeod and Sandy Jones are similarly difficult to find, whilst Susan Kemp, Thom Laycock and Kenneth Paul Stephen are mainly present in their capacities doing other stuff (variously ceramics/film, music, and journalism/PR). Wayne Price appears in the context of having won lots of awards, but in fact the only winner who seems to tweet and blog with regularity and enthusiasm is Tracey S. Rosenberg (worth reading, I might add, she’s very engaging). The fact these writers aren’t spending half their lives tweeting or blogging might well be A Good Thing. I would hazard a guess they have far more time for writing than they would if they were running, say… four blogs (here, Ten Tracks, Daddy Long Legs and my portfolio) three twitter accounts ( @periwinklewine, @12books12months and now @HomespunUK – feel free to follow them all) and a Facebook page? By not spreading themselves so thin, presumably they are channelling all their creative energy into one or two things at a time, therefore producing much higher quality work than what I am. This in turn is probably why they are winning writing competitions and awards whilst I am failing to get enough sleep or even to submit to all the various outlets available. So stick that in your pipe and smoke it, social media gurus. 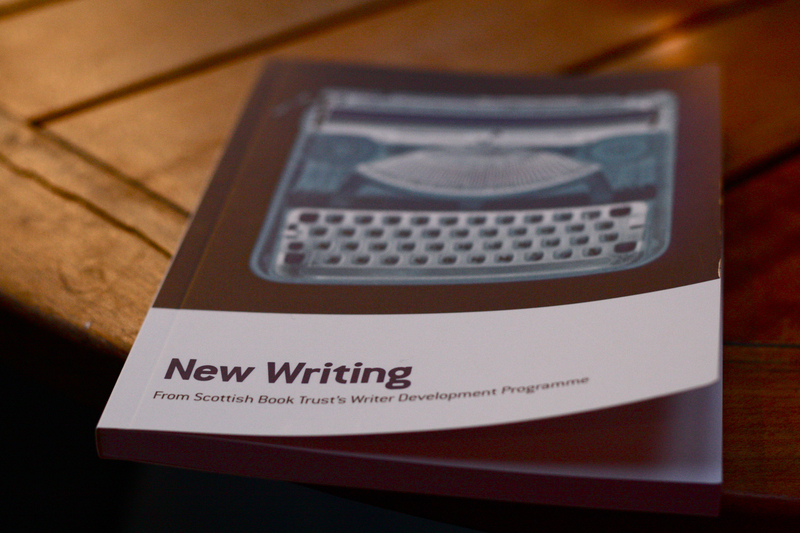 The New Writers Awards appear to be living proof that sometimes it’s better to get offline and concentrate on your creative output in peace, rather than promoting the hell out of yourself in cyberspace only to find you were so busy with that stuff you don’t actually have the quality content to back it up. Having said that, I’d still advocate having one blog or social media outlet and updating it once or twice a week, especially if you’re as eloquent as this lot. Frankly it’s selfish to keep wonderful prose to yourself like that, and blogging is actually a really good way to work through ideas and keep yourself going – not to mention a useful tool for journalists who might want to research you a bit before asking questions. Just sayin’. Were it not for social media and blogging I don’t think I’d actually write anything. I find it motivates me. That’s interesting. I find it helps me to work through things, as well.. Thanks, Ali. 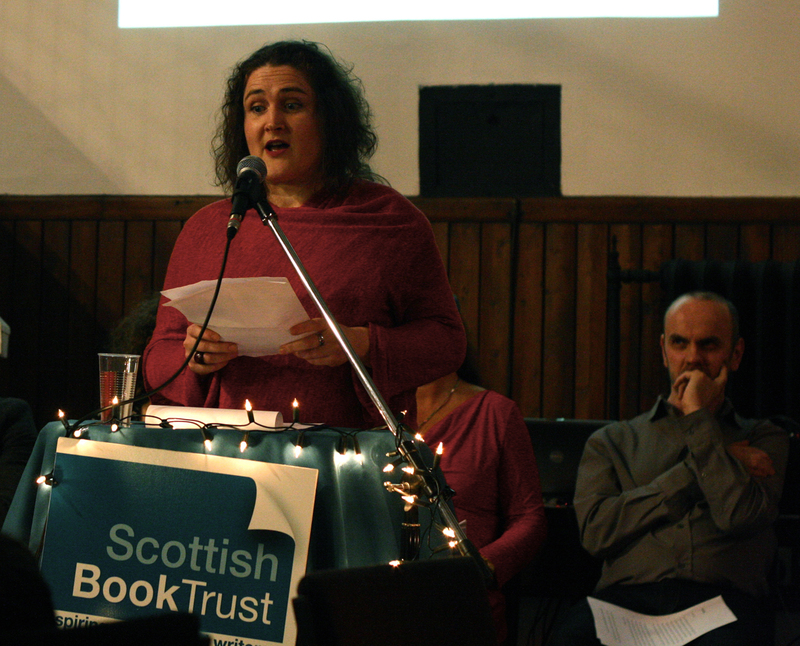 I am now on twitter (@raarmar), the better to engage with this: http://www.scottishbooktrust.com/blog/love-to-read/2012/07/unbound-it-will-be-all-write-on-the-night, but that’s as far as I can bear. I should also point out that Stevie Barratt (behind me in the photo) is not actually an evil overlord plotting my demise, but a v nice man. I do look quite scared though, eh? I knew I should have put a caption explaining he didn’t look so malevolent in life, it was some trick of the light!